Email is not dead. It’s only poised to get bigger and better—as long as you know the right strategies to implement in your business. Currently, it’s still one of the best channels to get your marketing material across, and it remains as one of most essential assets of a digital marketer. For starters, return on investment (ROI) for email marketing is at an all-time high of 3,800%. It’s also the third most influential source of information among B2B leaders? or what should go here, behind peer recommendations and industry thought leaders. The number of email users are growing as well. Statistics show that there was a total of 3.7 billion email users globally, and this figure is set to grow to 4.3 billion by 2022. This means more people to connect to when you do your marketing. Plus, with new technologies like artificial intelligence (AI), robot process automation (RPA), and content intelligence (CI), we are likely to see even more potential out of email marketing in the coming years. It isn’t just email trends that have been using automation as a way of reaching consumers and potential consumers. Some would argue that using something similar to JustDelieverIt ringless voicemail is another way of reaching consumers. That said, having the best email marketing service isn’t enough to put you at the top of the game–knowledge of the emerging email marketing trends are critical for any business. 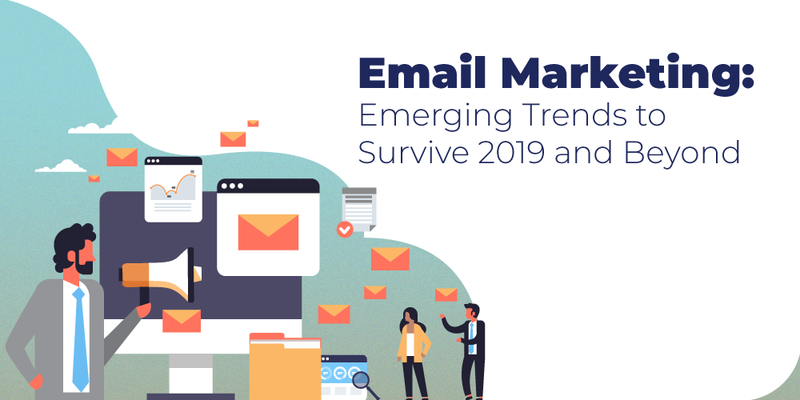 Here’s how you can prepare for the hyper-competitive world of email marketing going into 2019. The traditional marketing funnel is linear: Prospects enter at the top, travel through the funnel, and ultimately emerge at the bottom as paying customers, and their buyer journey is done. However, digital marketing has created more touch points for brands to reach their prospects, thus remodeling the funnel marketers were familiar with. In effect, leads can now enter at practically any stage of the marketing funnel through different touch points. And because email is an excellent tool for nurturing leads and encouraging them to eventually choose your product or service, email marketing remains a great strategy to meet your end goal. This is currently a specific issue for some brands who reach people from the EU, but this trend may spread to other parts of the globe. Email is still one of the most effective way to get leads. 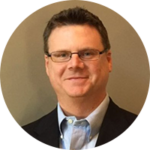 New tactics should be developed to continue successful lead generation. Email is great on its own but is even better when utilized as part of your overall marketing strategy. Instead of separating your email marketing efforts, recognize it as a channel to help maximize your business goals. If you want to get people to your social media, include some links or videos in your email. Let them know that your newsletters bring exciting deals from your shop or the top curated content from your blog. Make it interactive and dynamic, but ensure a holistic journey for your users. The term “automation” may sound like templated, impersonal emails, but the opposite is true. By studying and leveraging the data you have, you can create some of the most effective automated email campaigns that drive results. In fact, a recent survey shows that targeted emails are 108.5% more likely to generate half of a business’ email marketing revenue from automated emails compared to non-targeted ones. If you are going to be sending out a lot of these targeted emails then you will want to have an email verification API so none of the emails are bounced due to the fact they are unverified. In the coming years, expect that email marketing will become more targeted and that your marketing messages will not reach those who don’t want to get them. For instance, subscribers who don’t engage with your content should be removed from the list. Behavioral triggers are currently being utilized by email marketers for targeted automation. 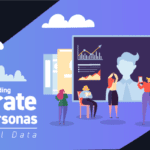 But new trends are emerging that offer more segmentation capabilities for a hyper-personalized campaign. Leads can turn cold if they get turned off with your aggressive emails. While every company intends to sell, it should be done at the right pace so as not to shock the prospect. Don’t go for the hard sell immediately, and instead focus on how you can be of excellent service to your audience. For instance, you can send out regular newsletters featuring helpful blog content to give them more reasons to trust you. The more you appear as an authority, the more people will want to hear from you. Use email marketing as a tool to build strong relationships and advance a lead through the funnel vs. only using email to sell products. Focus on the entire customer journey instead of the last step. Emails nowadays have a lot going on in them: static photos, animated graphics, tons of colors, and long text. In the coming years, the way marketers format and design emails will change. Email users like overly decorated emails to banner ads, as both can feel very overwhelming and spammy. While the design is subjective to a company’s branding, adopting new techniques could help your business email stand out from an overflowing inbox. Text-only emails are becoming popular, and so is interactive content, such as image galleries, quizzes, and GIFs. It has the right blend of information, design, and excitability that audiences expect from a message, and could increase the satisfaction of your readers. The world is now mobile. Stats show that 55% of emails are opened on a mobile device vs. a laptop. Email usage is also three-quarters mobile: 75% of the 900 million Gmail users access their email accounts on a mobile device. This means if your emails are not mobile-friendly, chances are, people will lose interest in reading it: 80.3% of people delete emails that are not optimized for mobile, and some would even go so far as to unsubscribe. The secret is to optimize your emails for mobile. In this tech-filled age, consumers are actually craving for a human connection. No matter how compelling and smart you think your email marketing campaigns are, if it’s too generic and impersonal, people won’t read it. This is where the new demands of consumers come into play: authentic connections with brands. Personalization is beyond calling your customer by their first name. It’s about providing solutions to people who don’t know they need it. An example is Spotify’s personalized playlist feature or even the way content on your Facebook feed is arranged uniquely. You can apply this to your email marketing strategy through segmentation and offering campaigns and content that resonate well with your recipients. You can also use their location information when available, or their past purchase history to clue you in on their next actions in the funnel. These are some of the biggest trends email marketing will see in 2019 and beyond. Each plays a role in revolutionizing the way email marketing works. 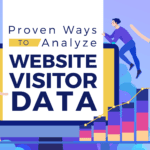 While there isn’t a specific formula to create your campaign, being aware of the necessary tools in your digital marketing toolkit will help you ace the game. Email marketing is an essential way of sharing your company’s propositional value. As soon as your readers realize that you are giving them expert content and authentic suggestions, they’ll look forward to your name in their inbox.